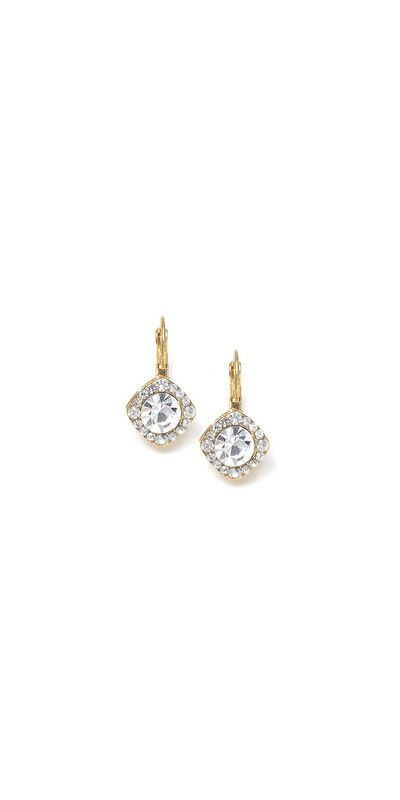 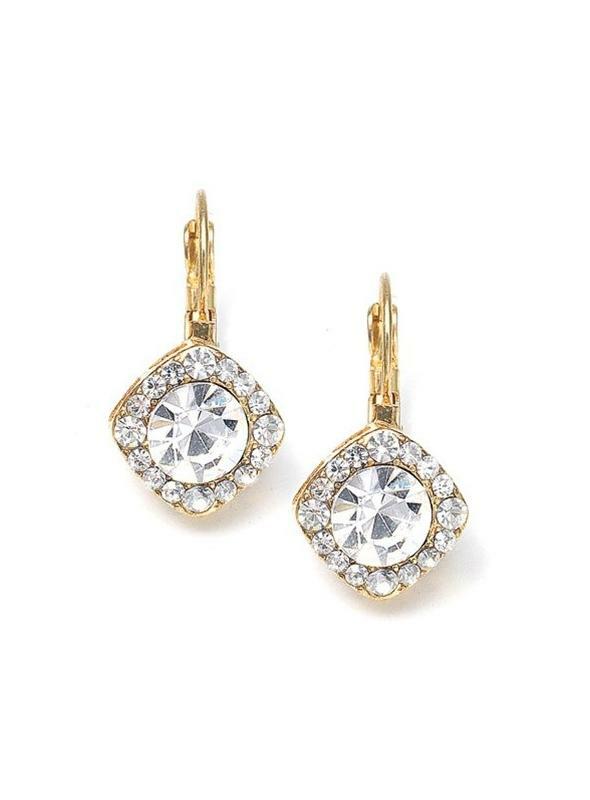 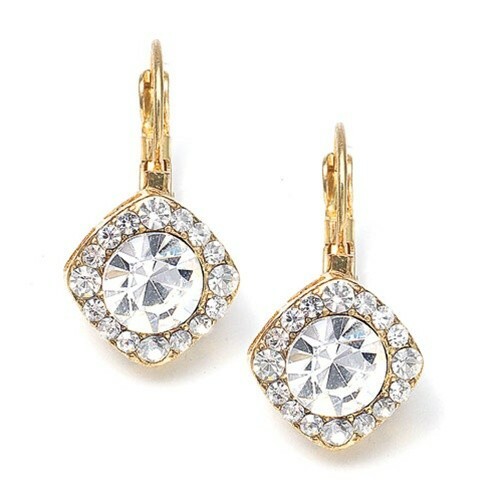 Add sparkling tailored style to your prom or wedding look with this pair of top-selling vintage inspired round solitaire crystal drop earrings framed with pave crystals in a rich gold tone setting at a fantastic price! 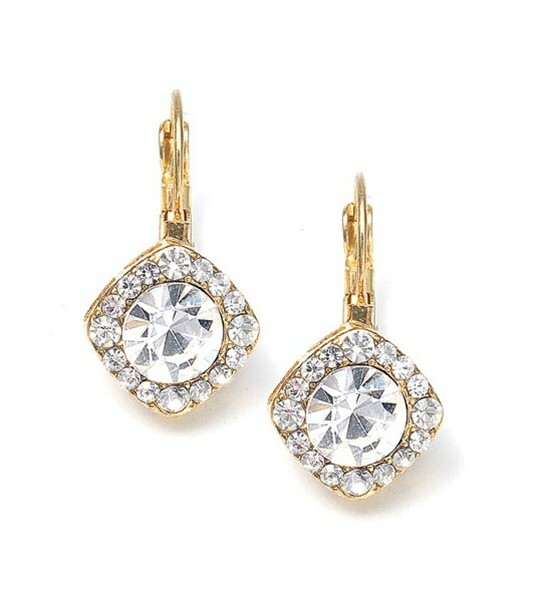 This gorgeous and sophisticated wedding or prom pair of earrings measure 1/2" and dangle from a 1/2" euro wire top. 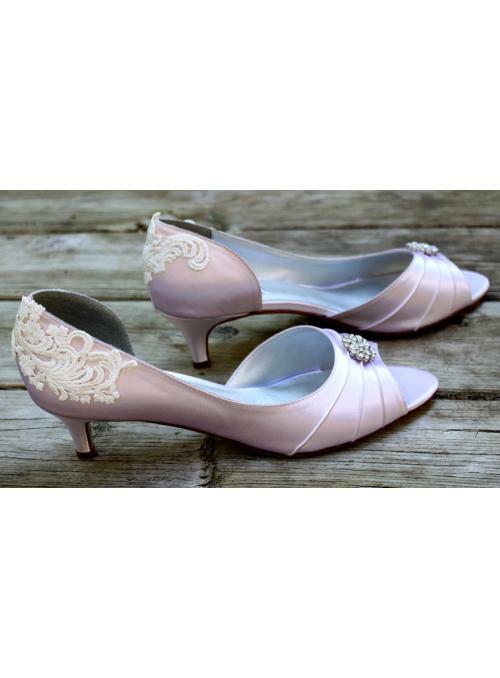 They are available in multiple colors at a fantastic price!